One ag student’s class competition is another family’s food on the table. 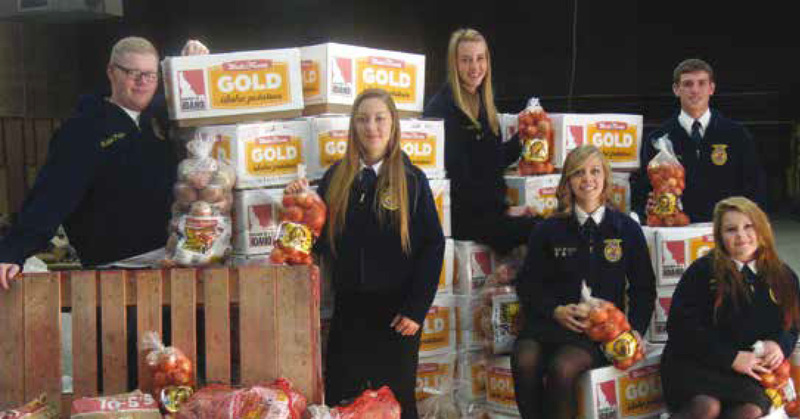 That’s what happened at Perrydale high school in 1997 when a friendly rivalry between freshmen and sophomores snowballed into Food for All, a huge produce drive coordinated by Oregon’s Future Farmers of America (FFA) students to fight hunger and feed families. 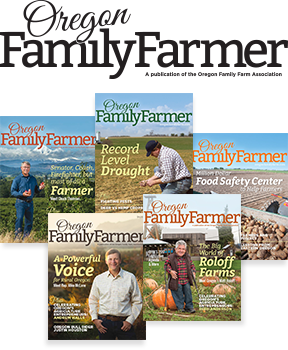 In the past four years alone, Food for All director Kirk Hutchinson credits students, and about 25 farms and co-ops, for collecting and distributing more than 1.5 million pounds of produce to thousands of food insecure families from the Oregon Coast to Ontario. Last December, Food for All collected 300,000 pounds of quality, shelf-stable fruits and vegetables, which hundreds of FFA students at six high schools—Amity, Dayton, Perrydale, Sheridan, Willamina, and Yamill- Carlton—repackaged into 40 pound boxes and delivered to more than 5,000 families around the state. At the Oregon State FFA convention in March of this year, students and OSU athletes gathered to pack boxes and deliver another 65,000 pounds of food to local food banks.